Savvy stock market investors know that transaction fees can kill market gains. Thankfully, technology has brought transaction costs close to zero for most stock market investors. Unfortunately, real estate investors haven’t had the same luck. Over the course of five years, I’ve purchased three rental properties (and sold one). My average selling cost for each of these was $4000. Plus, as a buyer I paid hundreds for inspection fees and due diligence fees. Another reason to consider is it’s thorough inspections. The inspections cover the actual quality of the house, the estimated repair costs, and the financial figures you need. 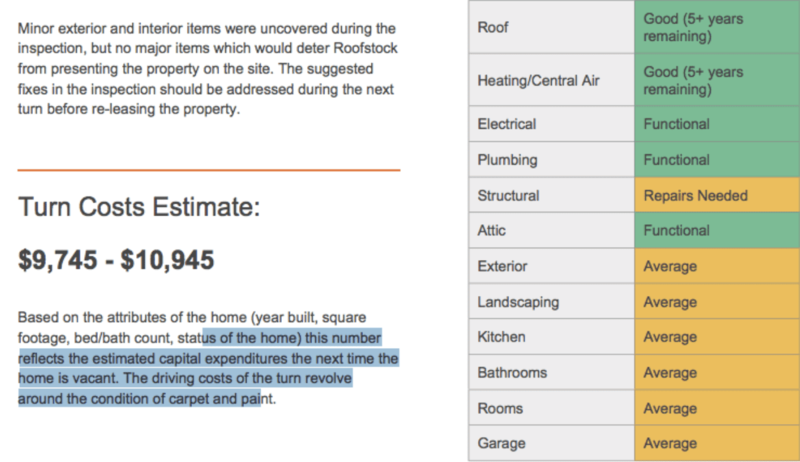 It’s possible to buy a house site unseen through Roofstock. As far as I know, the only company successfully lowering prices for rental real estate investors is Roofstock.com. Roofstock is an online marketplace for tenant-occupied real estate. That means you can buy an investment property, and start earning rent from day one. The total transaction cost? Buyers pay a .5% marketplace fee, and sellers pay a 2.5% listing fee. That means the total commission is less than half the average commission of real estate agents. Looking to become a real estate investor? 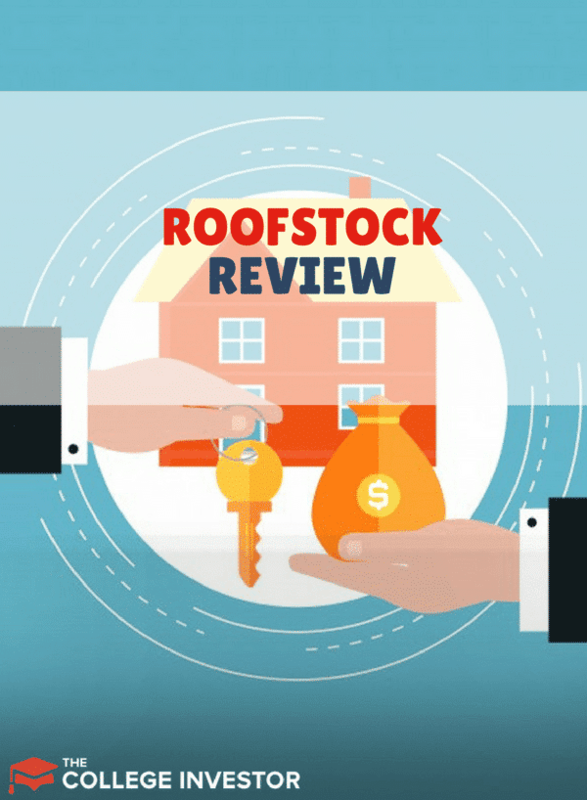 Here are five reasons to consider looking for properties on Roofstock. Roofstock is an online marketplace that features several hundred tenant-occupied houses. All properties on the site are single family homes. The listings include complete inspections, 3D Models, photos and more. Most of the properties are located in cities like Charlotte and Birmingham that have amazing rent-to-price ratios. How much does it cost to start looking at these properties? Nothing. If you find a property you like, you can read the full inspection report, talk with an advisor, and mull it over. When you’re ready, you can buy the house by paying the .5% fee using your credit card (that’s right, your credit card). Once you complete your financing (or you wire the cash), the house becomes yours. Sellers get an even better deal, paying just a 2.5% listing fee. It’s hard to emphasize just how revolutionary this cost cutting is. Companies like Fundrise and RealtyShares have made it cheap to gain real estate exposure, but not to own real assets. Roofstock actually cut the largest barrier to entry for real estate investors. Once you close on the home, you start collecting rent right away. This is because you assume the contract from the previous owner. The hardest part of owning real estate is finding great tenants. If you can buy a place that already has tenants with a track-record of paying in place, it’s like buying a gold mine. Roofstock makes that happen. Another reason to consider Roofstock is it’s thorough inspections. The inspections cover the actual quality of the house, the estimated repair costs, and the financial figures you need. It’s possible to buy a house site unseen through Roofstock. Of course, you can fly out and view the houses yourself too. I think most people will want to start their roofstock investments in a relatively local market. Driving a few hours to visit several houses makes sense to me. But some people buy the houses site unseen. The thorough inspections make that a reasonable (if risky) option. The hardest part about buying single family rental properties is finding the financing. Roofstock has an integrated financing solution for people with qualifying credit, and at least 20% down. If you’re a serious buyer, compare Roofstock’s loan offer to an offer from LendingTree.com to see if you can get a better deal. According to Roofstock, financing through Roofstock allows buyers to close in as little as 30 days. It might not be the absolute best interest rate, but it is amazingly fast. One of the best parts of Roofstock is how open the platform is. You can buy tenant-occupied real estate, with Roofstock partner financing, and use Roofstock’s property manager. On the other hand, you can find a buyer’s agent, pay for your own inspection, find your own financing, and manage the property yourself. This is an incredibly important point to consider. If you’ve got a property management system in place, you don’t have to pay for a Roofstock property manager. If you’re a new investor, you may appreciate the hand-holding. In my opinion, Roofstock is the low cost brokerage of the real-estate investing world. I expect that copycat competitors may soon hit the market. At that point, we will have to weigh the costs and benefits of various features. But right now, Roofstock is in a league of its own. Check out the houses. It’s free to browse. 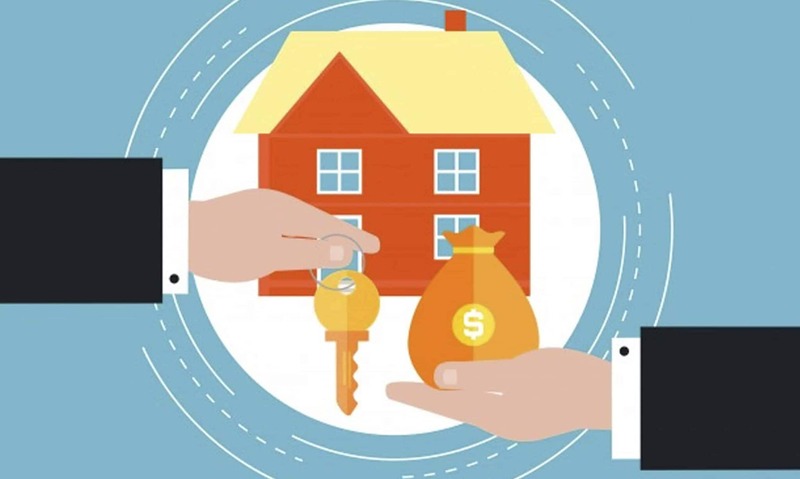 Before you buy, make an independent evaluation if real estate investment is for you. If it is, Roofstock is just one tool. You should also look for houses in your local market, and study resources at sites like BiggerPockets before making the plunge. Do you invest in real estate? If now, what's holding you back? Roofstock allows investors to buy single family homes with ease.